Purchasing a home and moving in is an exciting milestone in most people’s lives. However, you then have to face the fact that you – not a landlord – are responsible for any necessary maintenance in your home. If your faucet leaks or your toilet stops working, you’re either going to have to fix it yourself or pay someone to do it for you. But if you’re handy and have the necessary tools, you can often repair many problems without too much trouble. After all, you might pay a plumber or carpenter as much as $60 an hour to fix a relatively minor issue. Why not simply keep the money in your bank and do the job yourself? 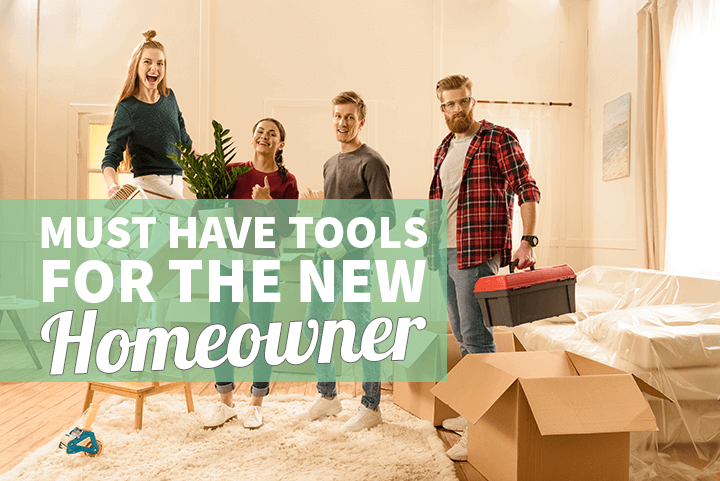 But which tools do you actually need in your home? Before going over the specific tools every first-time homeowner should have, it’s important to talk about quality. It’s much better to put a little extra money into buying quality than to go the cheap route and get tools that will be hard to use and produce poor results. If you buy low-quality tools, you could be costing yourself even more money in the long run. Virtually everyone owns a claw hammer or has used one at some point. As we all know, one side of a hammerhead is perfectly – or relatively – flat and is used to pound nails into surfaces. On the other side of the hammerhead, you have a curving V-shaped notch you can use when extracting nails from surfaces. You want to be careful when doing this though since improper use can damage the surface material. A high-quality claw hammer should be resistant to severe weather conditions and should minimize any vibrations traveling up the hammer to your hand. 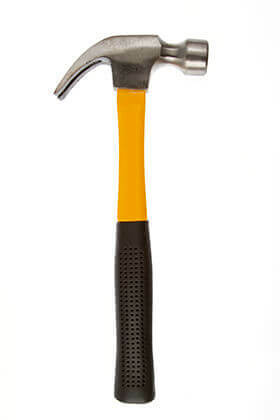 It needs to have a sound grip that is comfortable and that won’t come off while you’re swinging the hammer. If new homeowners use one tool more often than any other, it would have to be manual screwdrivers. This tool is used for a wide range of purposes in the home, from installing new cabinet knobs to assembling out-of-the-box furniture. But since there are countless types, sizes, and shapes of screw heads, you will need more than one screwdriver to deal with them. So when you’re at the hardware store, purchase a set of screwdrivers with many different sizes and blade tips. It’s much less expensive to buy them as a set than the purchase them individually. Again, go for quality and stay away from the bargain bin. 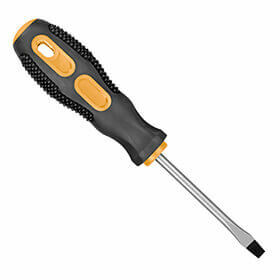 Low-quality screwdrivers can damage screw heads, slip and damage wood, and leave you frustrated. 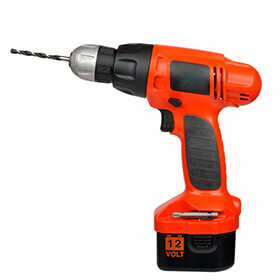 Another must-have tool that you’re going to use a lot in your new home is a cordless drill. When you’re cutting out a hole for doorknobs, installing hinges or putting bolts into wall studs for mounting a TV, nothing comes in handier than a good quality cordless drill. But make sure you are choosing a drill that actually has some torque. In addition to its usefulness, another great thing about cordless drills is that they are much safer and easier to use than corded models. You don’t have to concern yourself about locating an outlet you can use or hopping over cords stretching from one end of your home to the other. And these days, most cordless drills can hold a charge for a long time. 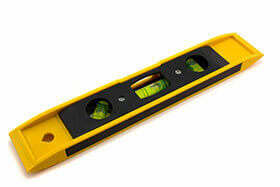 If you want symmetry and balance in your home, a laser level might be just the ticket. When you’re hanging shelves, mirrors or artwork, a laser level will help you ensure that everything is perfectly straight. As with everything else, quality is frequently related to price – although not always. While you might be able to get an adequate laser level for about $10 online, spending a bit more will get you something that will be much more useful and reliable in the long run. A good pair of needle nose pliers can come in very handy in your home. You can use them to grab hold of wires or nails so that you can bend them. Often, needle nose pliers can grab hold of objects your hands or other bigger tools can’t possibly reach. They are also useful when you need to snip wires. Also known as tongue and groove pliers, this particular tool can be used for any task involving crimping or fastening. They are often used for holding and turning bolts and nuts or grabbing onto oddly shaped objects. They can also be used for clamping two materials or surfaces together. 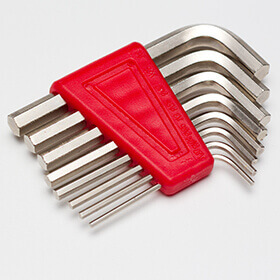 Hex Keys – frequently referred to as Allen wrenches – are L-shaped tools used to drive in bolts or screws that have inset hexagonal sockets. The sockets are widely used by manufacturers of out-of-the-box furniture that you have to assemble at home. Hex keys are also often used when carrying out simple plumbing repair jobs, such as when you’re trying to unjam your garbage disposal. Whether you need to apply caulk around a new window pane, scrape away flaking paint or fill cracks in your wall, a putty knife is a must. 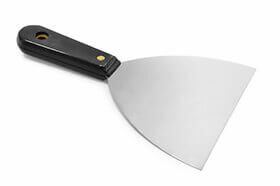 When buying a putty knife, make sure you choose a quality, metal one with a stiff, 2-inch blade. If you need to tack down your carpet, install sheet insulation or secure fabric, one of the quickest and easiest ways to do it is to use a staple gun. Not only will you do a better job with a stable gun than you would with a hammer, you will save a lot of time. 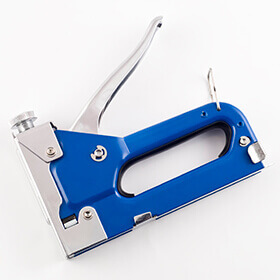 Most homeowners choose manual staple guns because they’re cheaper and – in some ways – easier to use. However, it’s also true that an electric or pneumatic model would be less exhausting. 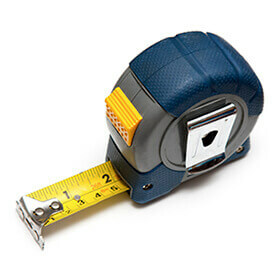 A tape measure allows you to accurately and quickly record measurements. A good quality model will let you convert those measurements to other units. Very useful when you want to center a painting or need to cut a board to length. It is one of the most used tools in my toolbox.